The gourmet scene in Singapore has been flourishing with the help of international chefs, new restaurants and food events. To satiated the growing sophistication of the local palate for Italy's cuisine, 'Gusto Italiano' festival was born. Organised by Sphere Exhibits, a wholly-owned subsidiary of Singapore Press Holdings (SPH) and supported by Hongkong and Shanghai Banking Corporation (HSBC), this event showcases the produce and diverse regional food of Italy paired with local culinary talents and renowned Italian restaurants from across the country. From 1 September to 2 November, you can celebrate a heightened level of Italian gastronomy in Singapore from masterchefs and events that offer none of the mass market pizza and pasta. Best of all, the culinary delights from local Italian establishments continue into 2015. To start you on your Gusto Italiano adventure, here are some of the culinary highlights to tickle your palate. Buon appetito! Naples' Chef Gennaro is best known for twisting the traditional culinary rules and creating daring combinations for Italian classics. Instead of working his craft at his two Michelin-star restaurant, La Torre del Saracino, located in a 1,300 year old watchtower, he will be delivering his slice of Italy at The Lighthouse from 9 to 13 September. For more information or reservations, phone (65) 6877 8933. Italian gastronomy is not just for discerning adults. The homely Pete's Place in Grand Hyatt Singapore will stage fun evenings for the family with plenty of pizzas from 12 to 14 September. Helmed by Chef Andrea Bontempi, you and your kids can enjoy free-flow of bruschetta, salads and more than 9 varieties of pizzas. Adults get to washed the meal down with a free-flow of Italian wine. For more information and reservations, phone: (65) 6416 7113. Savour Chef Denis Lucchi's Northern Italy cuisine complemented with the wines from Zyme at Buona Terra on 18 September. For one night only, the fine-dining Italian restaurant nestled among the black and white bungalows will take you on an artisanal food journey of Veneto through recipes handed down through the generations in Italy. Enjoy exquisite creations like Porcini Mushroom Ravioli with Marjoram and Black Truffle, and Scallops Tartare with Gavieri Oscietra Caviar and Tomato Essence with vino from one of Italy's best winemakers. For more information and reservations, visit the festival website. 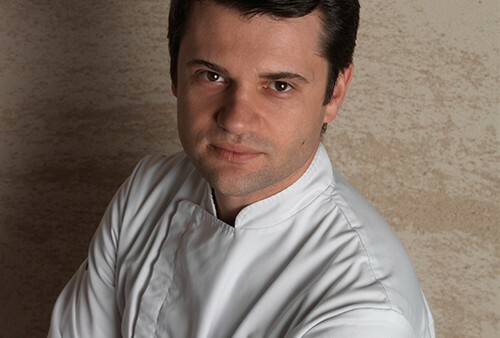 Chef Enrico Bartolini leaves his two Michelin-starred and three forked (forchetta) Devero Restaurant located in Cavenago di Brianza outside Milan for the kitchen of inITALY Bar Ristorante. From 22 to 26 September, be prepared to embark on a gastronomic adventure with one of most talented chefs in the Italian restaurant scene, best known for reinterpreting traditional dishes with stunning contemporary creativity. For more information and reservations, phone (65) 6423 9018. Five of Singapore's top Italian chefs will gather for one night at Grand Hyatt Singapore to create a gala dinner of Italian proportions like no other. 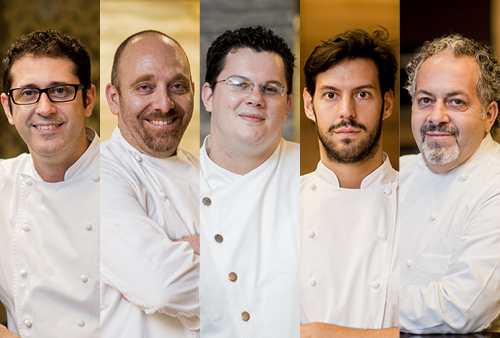 This is a rare opportunity to savour the culinary craft of Chef Roberto Galetti (Garibaldi Italian Restaurant & Bar), Chef Emanuele Faggi (Gaia Ristorante & Bar), Chef Mario Caramella (inITALY Bar Ristorante), Chef Lino Sauro (Gattopardo) and Chef Andrea Bontempi (Grand Hyatt Singapore) in one sitting. With each chef preparing a dish, you can enjoy a total of 5 courses paired with wines selected from The Straits Wines Company. For more information and reservations, visit the festival website. A selection of Italian restaurants have joined the Gusto Italiano line up and participate in the EATaly dining promotions. 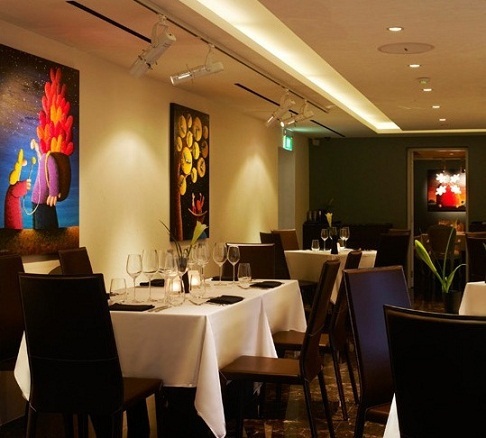 Some of the establishments include Burlamacco Ristorante, La Strada, Procacci Singapore, Nuvo, Al Borgo, Cucina Café & Restaurant, Zafferano, Buona Terra, Capricci, Trattoria Nonna Lina, OSO Ristorante, Senso, Caffee B and many others. 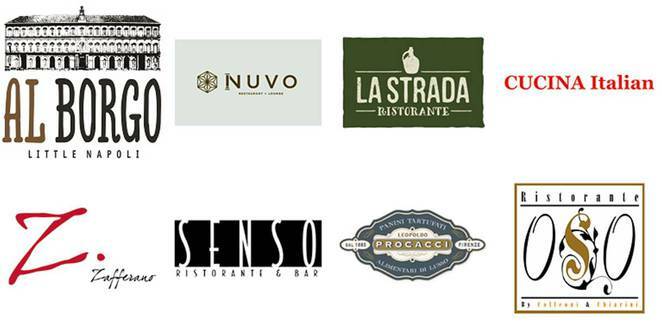 HSBC cardholder will be able to access exclusive dining offers from these restaurants during the festival and till November 2014. For updated dining information, check out the HSBC website. HSBC brings various benefits to its local and regional cardholders as a partner of the gourmet festival celebrating fine Italian cuisine. As a HSBC cardholder, you will enjoy up to 20% off Gusto Italiano events and workshops, and 15% off a-la-carte food bills at EATaly participating restaurants. The dining privileges will also be extended for the rest of year. Reservations and ticket purchases are available through the festival website or phone: (65) 6319 4038.